Enjoy an evening of art and cuisine in the Village of Port Chester by joining us for a performance at Ballet des Amériques and making reservations for dinner after the show at one of the many restaurants in the Waterfront district. 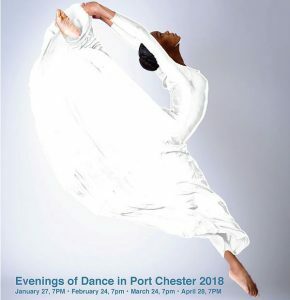 The 2018 season of Evenings of Dance in Port Chester is made possible in part by a grant from ArtsWestchester with support from the Westchester County Government. Ballet des Amériques is a not-for-profit organization under section 501(c)(3) of the Internal Revenue Code. Contributions are deductible under section 170 of the Code.